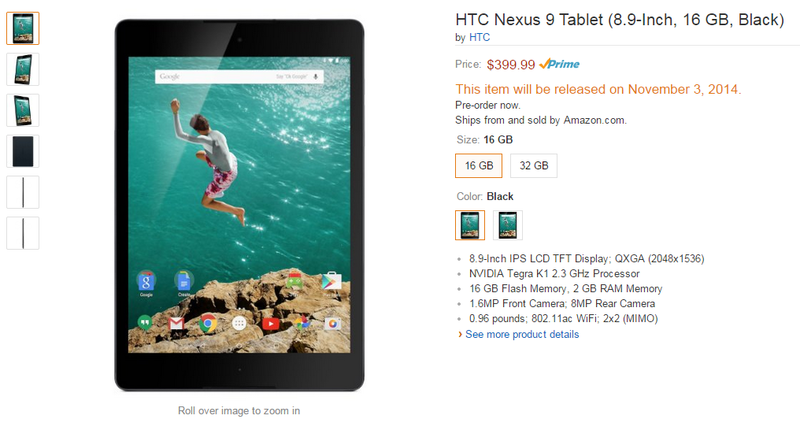 Update: If you're in another country, Amazon may have the Nexus 9 for you to pre-order, as well. So far we're seeing UK, France, and Germany. The US pre-order links also seem to work for Canada and Mexico. Germany: Wi-Fi (all models), LTE. France: Wi-Fi and LTE (all models). UK: 16GB Wi-Fi White / Black, 32GB Wi-Fi White / Black, LTE. Spain: Wi-Fi and LTE (all models). Italy: Wi-Fi and LTE (all models). If you're in the Netherlands, AndroidPlanet has a good list of retailers offering pre-orders, as well. 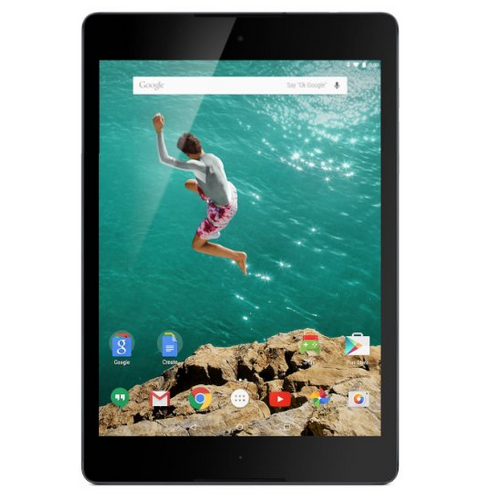 Want a Nexus 9? Live in the US? You can pre-order one now from Amazon. Both white and black models are available in 16 and 32GB storage levels. They're priced at $399.99 and $479.99, respectively, as was reported yesterday. Amazon's release date is listed as November 3rd, also in line with what we've heard thus far. Given the "Prime" shipping option and the fact that it's sold by Amazon, this looks totally legit to us. So, in the words of Android Police, gogo! If you'd prefer, of course, the Nexus 9 will also go up for pre-order tomorrow on the Play Store, but we know how that tends to go (website doesn't load, can't add to card, sold out, frustration, anger, etc).